Female Sketch Study in Pencil. This female sketch concentrates on the model's face. 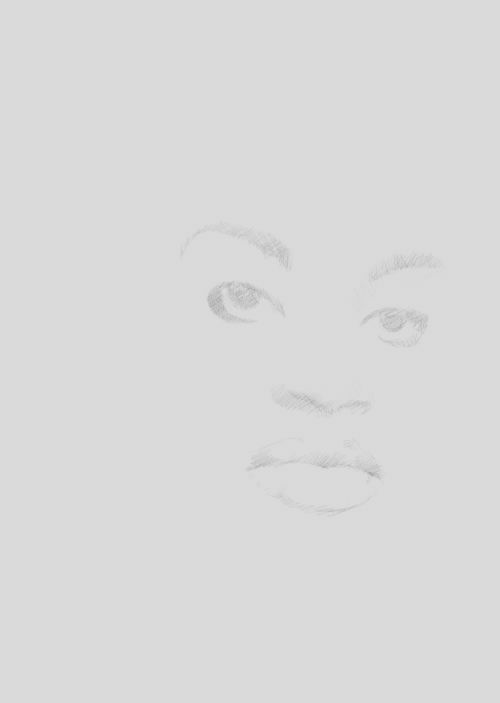 The background to the finished piece (one of a series of drawings of females) was intended to be quite abstract but I wanted the face realistic and mask like at the same time. To achieve this I wanted an accurate sketch of the face with very little modelling and detail on the skin. I decided to draw in a very direct way without using guide lines. This can go horribly wrong but on the flipside it forces me to concentrate more. 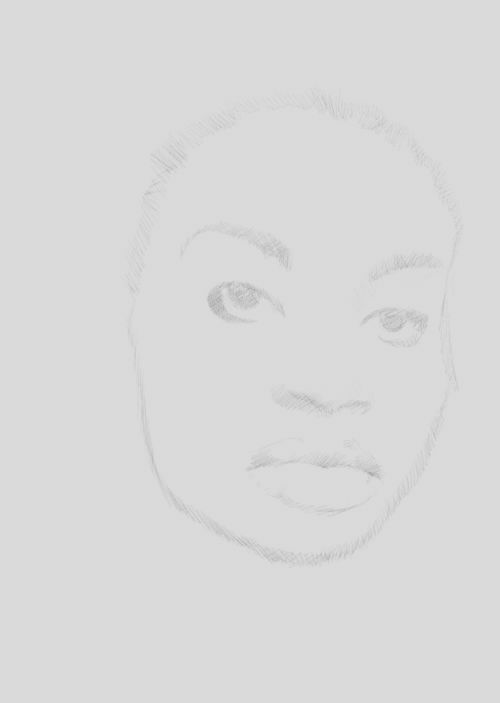 What I am trying to do is find the edge of the features rather than defining them with line. My drawings of people vary enormously and I enjoy the challenge of abstraction particularly in drawings of girls or where I depict other human elements. If you want to copy this I suggest you use a thick cartridge or textured paper with a soft pencil. 6B is ideal. 1. 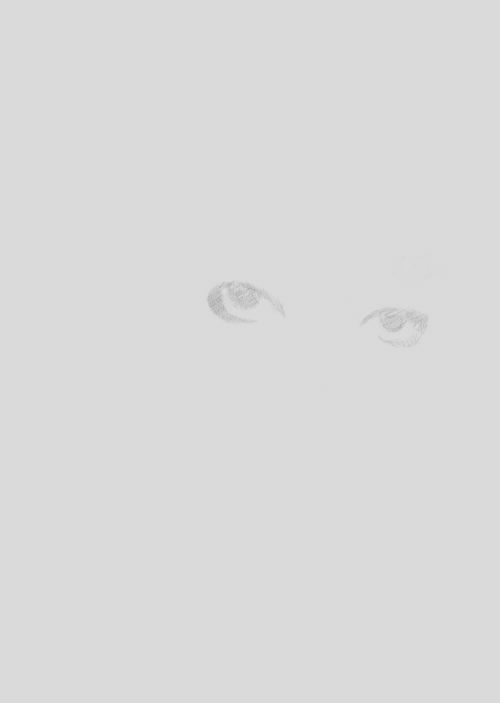 I begin the eye. I am using tone rather than line and finding the limits of the lashes and iris. 2.  I place the other eye without measuring in any way. This can take me some time. It is an exercise in observation that I recommend. 3. I sketch in the nose. As I said earlier this will be mask like so I do not labour over details. 4. 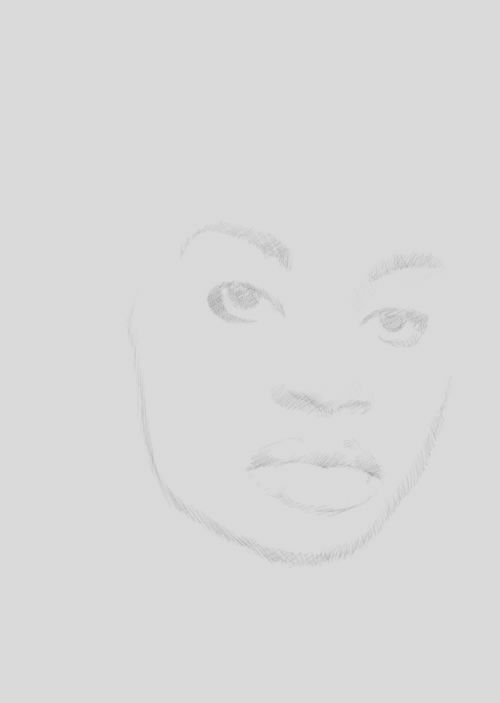 This is probably the hardest part of the sketch. 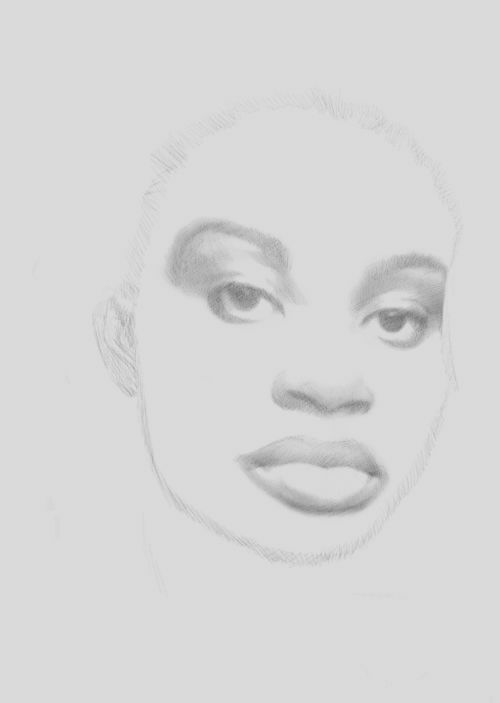 I take my time and am very light with the pencil, only committing to the shape of the lips when I am confident. 5. The eyebrows arch over the eyes. 6. I gently sketch the jaw, chin and cheek. 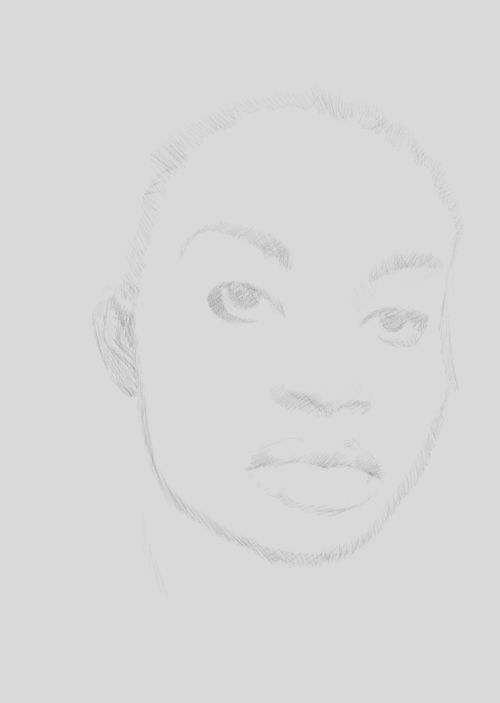 I'm not entirely sure this is right but I know I can continue to develop the drawing. 7. 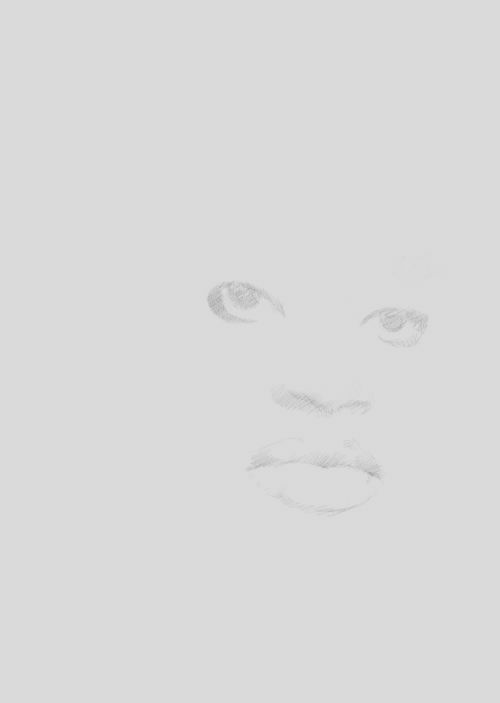 The hair line is obviously where the forehead ends and because I intend to paint the hair in an abstract or semi abstract manner I am only interested in finding the edge of the forehead. 8. The ear. I took care to get the angle and shape correct but it will be in shadow or left out altogether later I think, therefore I don't pay much more attention to it at this stage. 9. Now I want to capture the beauty of the eye yet still stay within my brief of the mask effect. I want to darken it but pretty much leave it at that. 10. 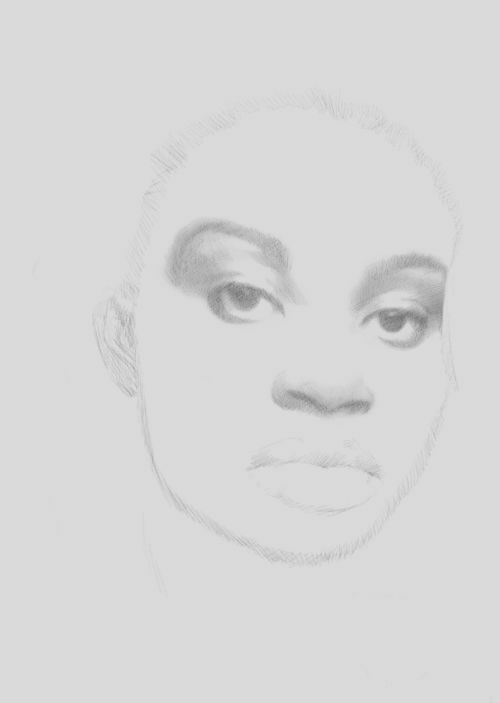 I'm a little more creative with the brow areas of the female sketch and try to set them off against the eyes nicely. You will note there is some variation of tone here but not much. The false highlights over the eyes help to make the eyes stand out well. The eye socket on the right is the edge of the face. I have reached it without using line work. I can see now where the edge of the rest of the face on that side will be. 11. The nose is simpler. Dark underneath with some tone around it suggesting the shape without overly defining it. 12. I shade the mouth. Note the shading around it. 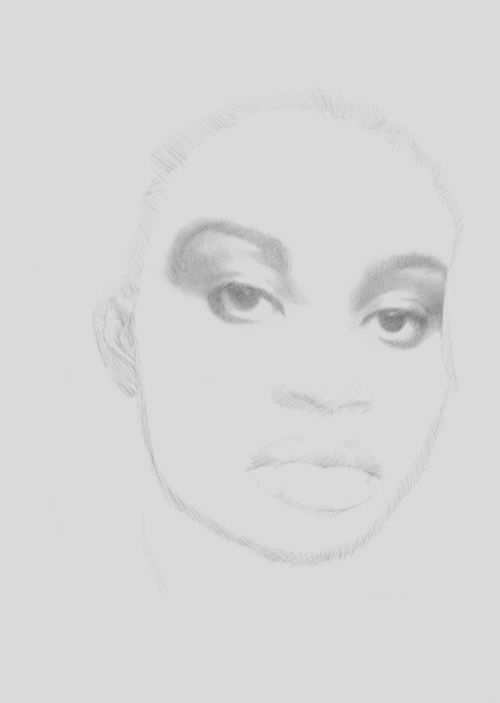 This will make more sense visually when the female sketch is complete. 13. I add tone to the ear. This isn't detailed at all. 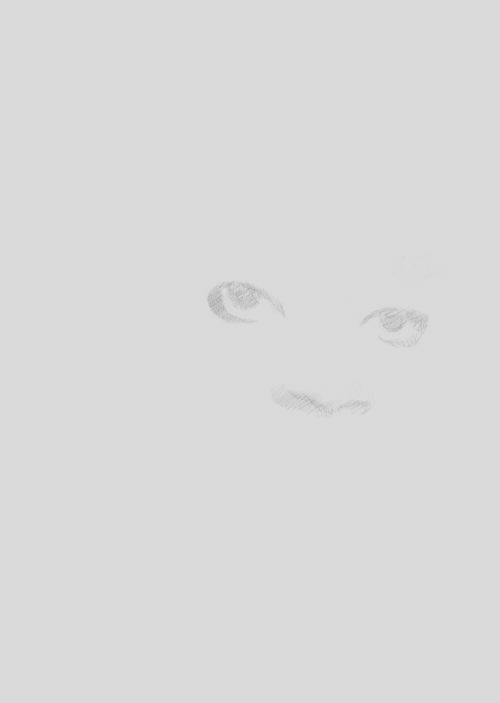 It is really a device to aid me in the last phase where I decide how dark and light the skin should be. I know it will be lighter than the irises and ear. 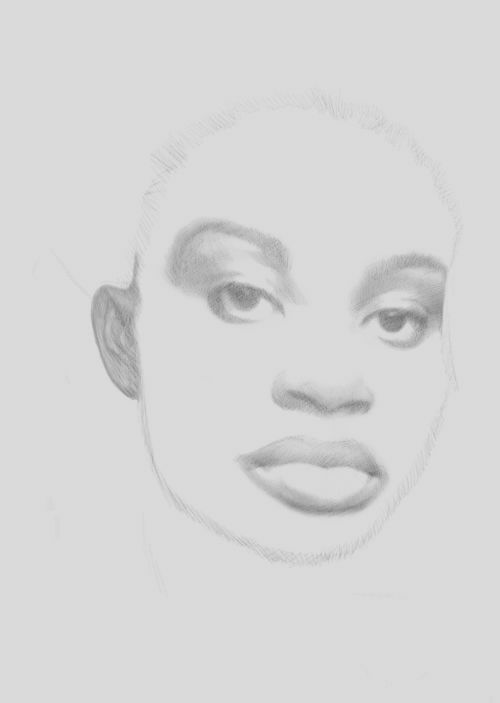 So I will begin by the jaw and gradually add less tone as I reach the central part of the face. 14. Starting at the edges already in part established in stages 6 and 7 I build up tone with short strokes. 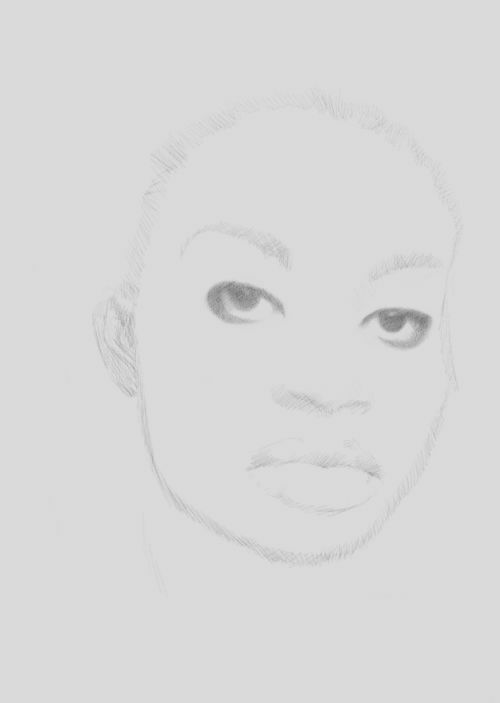 I continue with this very slowly until I have the shape of the face and slight variations of tone correct. 15. I erase extraneous pencil and I am done. I now have the female sketch I need when developing the final artwork. Upload your drawings of girls. Scroll to the form towards the bottom of the page. 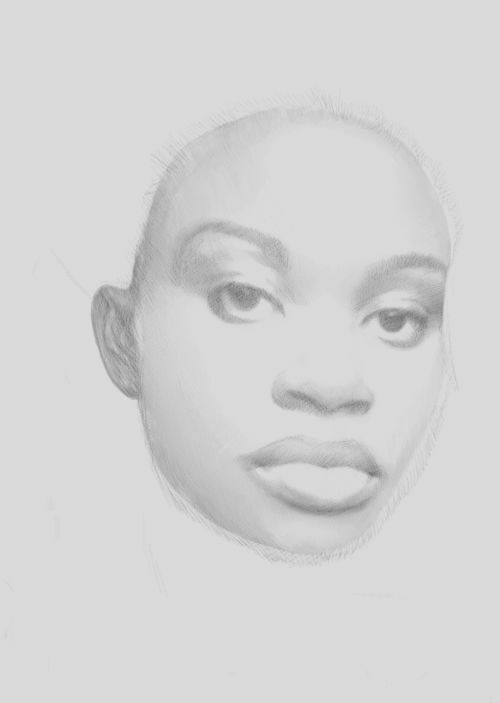 Return to drawing people from female sketch.